Sometimes information will gets so camouflaged in the similar background that it becomes very difficult to find the objects. Earlier we have published tough picture brain teasers to find hidden animals in the given puzzle picture images. Some of these picture puzzles were very tough. Here are few brain challenging picture brain teasers for kids and teens where you have to find the hidden faces. These picture puzzles are easy ones. In each of these Picture Puzzles, there is hidden face of either an animal or of a human. These hidden faces get merged so much with the background that it becomes very difficult to find these hidden faces. 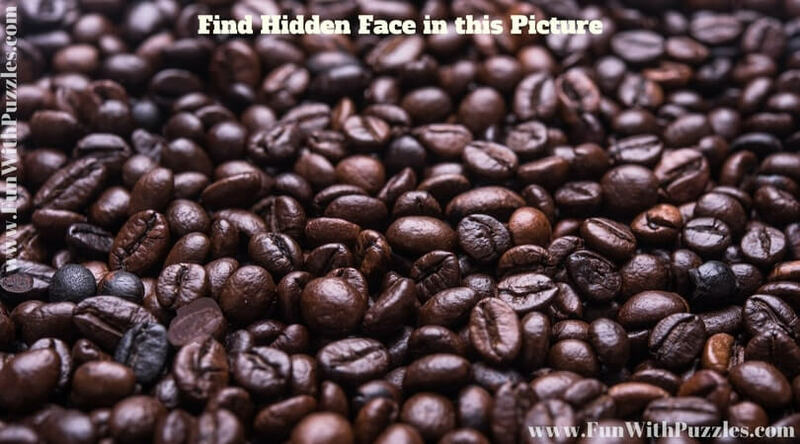 Try to find these hidden faces as quickly as you can and post your timings to find the each hidden face. Lets start with an easy picture puzzle. This this picture your challenge is to find the hidden Panda face in the footballs. 1. Can you find hidden Panda in this Picture? Next one is again an each Picture Puzzle in which one has to find the hidden Tiger in the given Picture Puzzle Image. 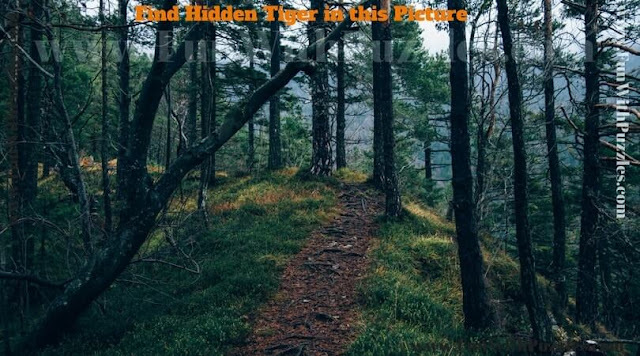 Can you find this hidden Tiger in this Picture Puzzle? 2. Can you find Hidden Tiger Face in this Picture Puzzle? Lets make it little tough now. In this following given image, one has to find the hidden face. This hidden face is camouflaged in the stones and may be difficult to find. So your challenge is to find this hidden face as quickly as possible. 3. 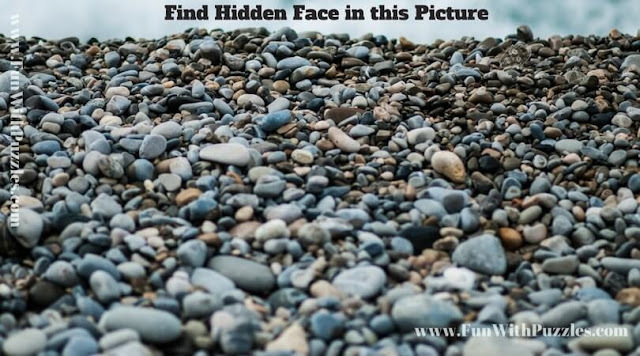 Can you find Hidden Face in this Picture Puzzle Image? In the next picture puzzle, instead of a hidden face, there is full hidden animal in this given picture puzzle image. 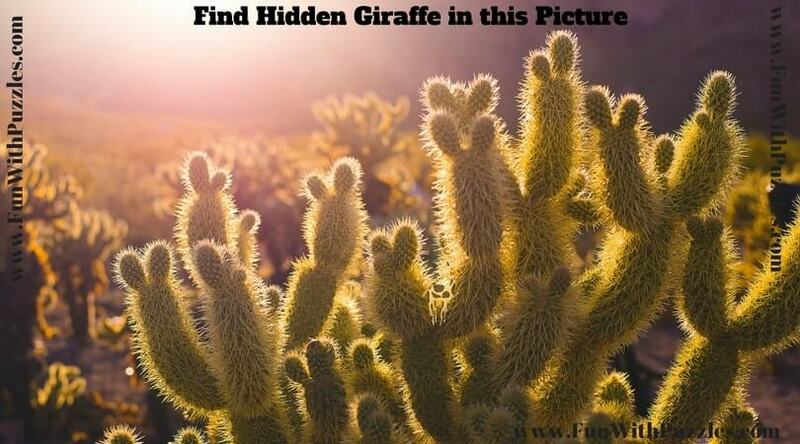 Can you find this hidden Giraffe? 4. Can you find Hidden Giraffe in this Picture Puzzle? In the last picture puzzle, there is hidden human face in this puzzle image. Can you find this hidden face in this picture brain teaser? We are holding the answers of these hidden faces picture puzzles for sometime, so that visitors can try to find these hidden faces and can post there comments if they are able to find these hidden faces. Checkout similar puzzles of finding hidden animals in given pictures. You can also try finding hidden words in picture puzzles. There are also picture puzzles in which one has to find Odd One Out. 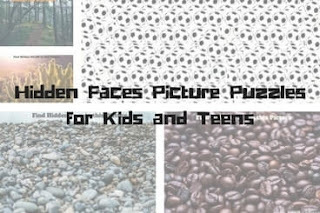 Another set of picture puzzles contains hidden letters in pictures and there are very interesting picture puzzles to find mistakes in given pictures.